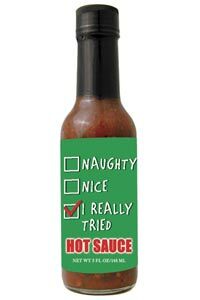 Santa's Checklist Hot Sauce is made for those of us who have a super hard time being NICE all year long, but we are not necessarily naughty either. We tried to be good for the most part, but sometime things got the better of us! Great to put in stockings or for the hot sauce lover in your life.